Palestinians in Gaza plan to challenge Israel’s illegal blockade at the costal strip by exporting local goods to Europe in ‘Gaza’s Ark’. The large fishing boat is being converted into a cargo vessel by local fishermen, who receive a salary for their labor, and foreign activists, volunteering on the project. Due to Israel’s six-year blockade, which prohibits boats from entering waters more than three to six miles from the shore, Gazans have not been able to export goods by sea since the signing of the 1994 Oslo Peace Accords. Additionally, most of the 10,000 fishermen who have historically relied on fishing as a source of food and income have been forced out of the trade. Gaza’s Ark has a multi-layered effect. The 78 feet (24 meter) long vessel is expected to export products including fruit and farm produce, furniture, embroidery and other crafts in addition to over 100 passengers, thereby boosting the trade. It also works to revitalize the dwindling ship building industry and “ensures the transmission of this disappearing expertise (another effect of the blockade) to the younger generations,” their website states. Despite high spirits, the possibility of confrontation with Israeli forces is a worry to both those planning to sail the boat to Europe and craftspeople, who are investing money and time into products they hope to sell. One local is afraid that the navy may "open fire and sink the Ark, or arrest those on board like they did in 2010 and seize the goods.” Israel has historically targeted peaceful, non-violent direct action against the blockade with violence and sabotage. In 2010 Israeli forces responded to Freedom Flotilla campaign by killing nine, and injuring 50 Turkish activists, who were sailing to Gaza in the Mayi Marmara. It is impossible to forecast Israel’s reaction. Palestinian laborers and foreign activists are working tirelessly to transform a large fishing boat into "Gaza's Ark" with the aim of exporting local produce in the latest bid to break Israel's blockade on the coastal strip. The Ark, which is being fitted out to carry goods and more than 100 passengers, is expected to set sail for Europe when it is completed by the end of July in the latest high-profile attempt to challenge Israel's maritime lockdown on the tiny Hamas-run territory. If they are successful, this will be the first time goods from Gaza have been exported by sea since the signing of the 1994 Oslo Peace Accords. Significantly, this attempt to alleviate the effects of the seven-year blockade comes from within Gaza, where locals refurbishing the 24-metre-long (78 feet) vessel want to take matters into their own hands, rather than waiting for help from the outside world. "This will help fishermen, farmers and factory workers in Gaza to market their products," said Abu Ammar Bakr, who was a fisherman for 40 years before turning his hand to repairing boats. Mohammed Abu Salmi, who owns a furniture shop, was equally buoyed by the prospect of shipping products overseas. "Export by sea will resuscitate farming and light industry in Gaza and will ease unemployment... and help to lift this oppressive blockade," he told AFP. "We have great experience and produce great furniture," Abu Salmi boasted. "We exported to Israel and from there to Europe before the blockade, and people abroad are asking for our products," he said, pointing proudly at the dining tables and chairs fashioned in his workshop. Among the items which are to be carried on board for export are fruit and farm produce, furniture, embroidery and other crafts, organizers say. "The aim is not aid or humanitarian like the boats that were coming to Gaza, it's a commercial venture to support the Palestinian economy and pave the way to exporting Palestinian products," project manager Mahfouz Kabariti said. But a sense of apprehension marks the preparations. A plaque at the entrance to the quay on which the Ark is being built remembers the nine Turkish activists who were killed in May 2010 during an Israeli raid on a six-ship flotilla trying to reach Gaza in defiance of the blockade. Although the international outcry which followed the deadly raid forced Israel to significantly ease the terms of its blockade on Gaza, which was first imposed in 2006, tight curbs remain in place on exports and travel. Under the terms of the current restrictions, Gaza fishermen are not allowed to enter waters more than six nautical miles (11 kilometers) from the shore, with naval patrol boats known to fire on those who step out of line. It is the prospect of a confrontation with Israeli forces that is worrying some of those planning to join the boat on its blockade-breaking mission, with Abu Salmi afraid the navy might "open fire and sink the Ark, or arrest those on board like they did in 2010 and seize the goods". Organizers of the project are unsure what action Israel might take. "I hope Israel won't stop the boat from sailing to European countries," said Kabariti. "It is natural that the Israeli authorities might not allow a boat to set sail from Gaza. But we want to send our message to the world, whether the occupation allows it to sail or not," he said. "We want to draw attention to the blockade which is preventing Palestinian products from being exported, and we have an ark that we can use to do it." Among those planning to join the Ark on its maiden voyage are a number of foreign activists, who include Swedish national Charlie Andreasson who also took part in the ill-fated Freedom Flotilla of 2010. The aim, said Andreasson, is "to break the siege". "Why would they stop it?" he asked, somewhat naively. "We've been sending ships to Gaza to try to break the siege, and this time we are turning it around and sending a ship from Gaza out to Europe with goods -- so we're trying to break the siege from within," he told AFP. Andreasson has been working on the project since early June, when activists managed to raise enough money from European donors to buy up the old fishing boat. 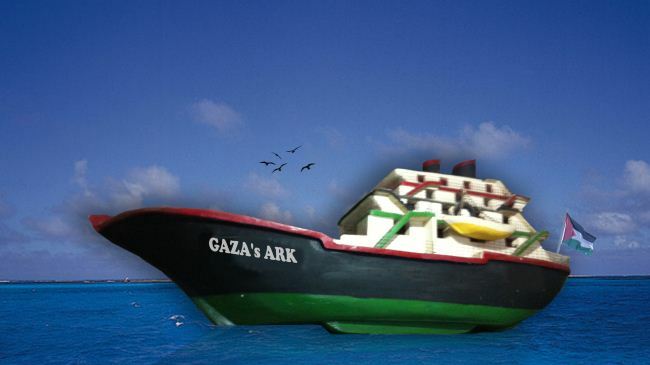 From its purchase to completion, including labor, Gaza's Ark will have cost an estimated $150,000 (114,000 euros), with its website showing that so far, $110,000 has been raised. Dozens of people are working to restore the Ark, with local fishermen receiving a salary for their labor and foreign activists volunteering. The project's mission statement, according to the website, is to "challenge the illegal and inhuman Israeli blockade". For fisherman Bakr, it would be a huge blow if the Ark -- which will sail under the Palestinian flag as well as several international ones -- never left port. Fisherman and factory workers would have to watch their goods "festering in warehouses because they're unable to export them", he said. Canadian and European activists are planning to launch a flotilla from the Gaza Strip to Europe to break the Israeli naval blockade imposed on the strip, Yediot Ahranot Israelii newspaper reported Tuesday. Charlie Anderson, a Swedish activist who was on board the Gaza-bound Estelle last year, said because Israel has banned the entry of ships into Gaza, the group was planning to break the Israeli naval blockade in a different and peaceful way by launching a flotilla that will carry Gazan produce and textiles from the strip to Europe. He told Yediot Ahranot that the flotilla, which is currently a fishing boat, is being converted to a cargo ship and is set to sail in September. Adding, the activists were not concerned that the Israeli Navy would stop the boat. "If it does," Anderson said, "it will find it very difficult to explain to the world why it's stopping a Gaza cargo ship carrying civilian products meant for Europe." 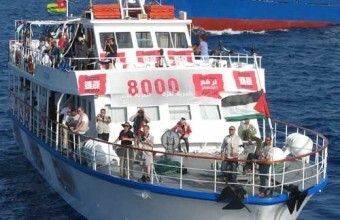 "This is a civilian, independent project, whose aim is to raise public awareness to the issue of Gaza's maritime blockade and the activists have no intention of confronting with the Navy in case it tries to stop the shift," said Mahfouz Havriti, one of the Palestinian organizers in the project while stressing that Gaza's Hamas government has nothing to do with the project. For his part, the IOF Spokesperson said that Israeli Occupation Forces aim to pursuing its mission to secure Israeli borders, including Israel's naval border. Efforts to end the siege really got underway following Israel’s 22-day assault on Gaza in 2008-2009, first trying to reach Gaza from the Rafah crossing with Egypt in December 2009, on the Gaza Freedom March. This failed, but led to the Freedom Flotilla in May 2010, which held the world in thrall, as Israeli commandos dropped from helicopters, killing nine Turkish activists, arresting the others, and seizing the boats and cargo of food and medicine. Three years later, the siege continues and the movement against it is stronger than ever, the focus now Gaza’s Ark. This time, it is not internationals trying to bring aid to Gaza, but internationals helping Palestinians export their products - breaking the siege, but in reverse. 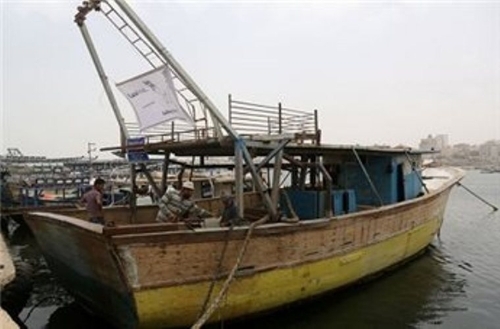 Gazans, with a modicum of international assistance, are at this moment converting the old fishing boat into a cargo vessel using Gaza’s meagre resources. Later this year, a crew of internationals and Palestinians will sail it out of Gaza - the only Mediterranean port closed to shipping - carrying Palestinian products destined for international buyers, in the process, breaking through the Israeli blockade. Prime Minister Ismail Haneyya received the Miles of Smiles 21 human right solidarity convoy that arrived in the Gaza Strip a few days ago to participate in the global march to Jerusalem (GMJ). The convoy includes a delegation of activists from different Arab, Islamic and foreign nationalities. Haneyya pointed out that the delegation's visit comes in conjunction with the GMJ that was launched on Friday in several countries around the world and that proved the world's support for the Jerusalem issue. The visit is also taking place in conjunction with the launch of the event of "Gil al-Awda" camps, which confirms the Palestinian people adherence to their land and rights. The Prime Minister has also hailed the Libyan delegation, leadership, government and people, for their continued support for the Palestinian people. For his part; Dr. Essam Youssef, General Coordinator of the Miles of Smiles convoys, stressed that the convoys will continue to come to Gaza in solidarity with its people, and revealed that during this month a new Miles of Smiles convoy will be heading for Gaza. Dr. Youssef also asserted that there is a large number of peace activists who want to visit the Strip. Head of the Libyan delegation in the convoy Abdul Moneim Bachivy stressed that his people will always support the Palestinians and their cause. The “Miles of Smiles 20” human right solidarity convoys managed to reach the Gaza Strip via the Rafah Border Terminal between the coastal region and Egypt, the Palestine News Network (PNN) has reported. Abdul-Rahman Al-Madhoun, in charge of the Committee for Welcoming Solidarity Convoy in Gaza, stated that convoy members would participate in the “World Procession to Jerusalem” this Friday. Dozens of parallel processions are planned in Arab and Islamic capitals around the world as part of an international solidarity campaign with the Palestinian people, living under Israeli occupation, aggression and siege. Al-Madhoun added that convoy members also carried tons of medical supplies, equipment and medications urgently needed in the Gaza Strip. A new batch of Saudi medical aid arrived in the Gaza Strip through the Rafah crossing, within the Saudi air bridge to transport aid and medical supplies to the Strip. Rafah crossing sources reported that the 11thSaudi convoy that includes two trucks loaded with 10 tons of medicines and medical supplies offered to the Palestinian people arrived at the coastal enclave on Saturday. The sources confirmed that the aid has been transferred to the El-Arish airport in Egypt and from there were taken to Gaza in coordination with the Egyptian Red Crescent in North Sinai and the Palestinian Red Crescent. The air bridge between Saudi Arabia and Egypt's El-Arish International Airport started on Monday 29 April to transfer medical supplies provided by the Kingdom to the Gaza Strip. The airlift will continue to deliver aid to El-Arish on a one flight per day basis over 14 days. 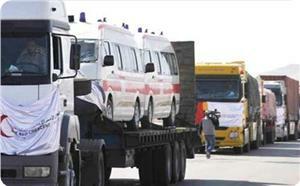 A total of 140 tons of essential medicines and medical supplies at a cost of $3 million will be delivered to Gaza. MP Jamal Khudari, the head of the Popular Committee against the Siege, hailed in a statement on Saturday the Saudi role in supporting the Palestinian cause and the health sector in Gaza. He has also thanked Egypt for "facilitating the delivery of Saudi aid to the Gaza Strip via the Rafah crossing, and its role in facilitating the work of the Qatari grant for Gaza reconstruction and the delivery of the necessary equipment and materials." The MP called for continuing to support the health sector; in order to strengthen the steadfastness of the Palestinian people. The Jordanian aid convoy Ansar 4 arrived on Monday evening in the Gaza Strip and delivered a shipment of medical supplies to the Palestinian health ministry. 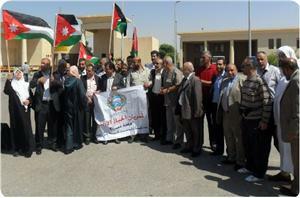 29 Jordanians from unions and political parties participated in the convoy which included cash and in-kind assistance for the health sector and other development projects. Head of the convoy Mahmoud Abu Ghanima told a news conference in Gaza city that the medical supplies are worth $100,000 and were selected in coordination with the health ministry in Gaza. Abu Ghanima added that the campaign would also finance 50 projects in Gaza, noting that the Jordanian lifeline committee, which organized the campaign, had already established a vocational training center and intends to raise its financial support for other projects in order to improve the economic situation in Gaza. 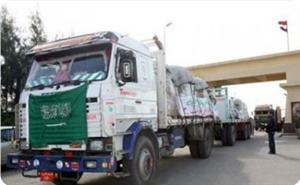 A European aid convoy arrived in the Gaza Strip on Wednesday evening carrying with it medical supplies and medicines. Palestinian sources said that the convoy, grouping 30 activists from a number of European countries, entered the coastal enclave via the Rafah border crossing. 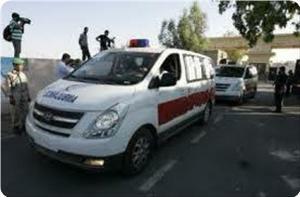 They said that the participants were bringing with them medicines and medical supplies to the health ministry in Gaza. An official welcome ceremony was at the crossing to receive the convoy called the European Wafa convoy. Saudi medical aid shipments entered the Gaza Strip on Monday via the Rafah border terminal. Dr. Ashraf Al-Qudra, the health ministry’s spokesman, said in a press conference at the crossing that his ministry had formed a special committee that headed to Cairo to coordinate entry of those supplies. He said that the committee tabled the type of medicines urgently needed in Gaza and discussed the Saudi airlift that would carry cargoes of those supplies to Egypt and then to Gaza via land route. Representatives of the Egyptian health ministry and Saudi finance ministry took part in coordinating the entry of the shipment into the coastal enclave, Qudra underlined. 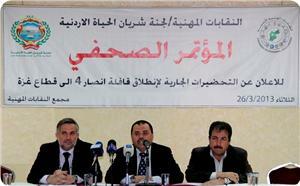 Libyan Interior Ministry announced on Friday that four suspects in the attack on foreign activists had been arrested. 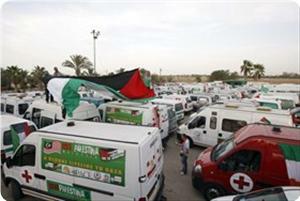 The activists were part of the Miles of Smiles aid convoy to the Gaza Strip. 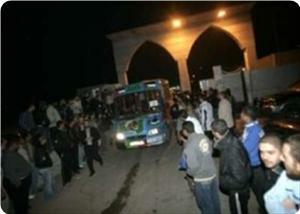 They were on their way to Benghazi's Benina International Airport when they were stopped at a checkpoint nearby. A Libyan official source said that a British activist submitted a complaint to the police station on Wednesday in which he stated that he and his colleagues in the convoy had been kidnapped and abused by an armed group in the city of Benghazi. The activist added that two of his colleagues who were kidnapped are still missing. The source quoted spokesman for the Interior Ministry Majdi al-Erfi as expressing the interior ministry's deep regret for this incident, and stressed that the ministry has issued strict instructions to arrest all those involved in this attack. The Interior Ministry added that four men involved in the incident had been arrested and security forces in Benghazi were pursuing a fifth person. The official source pointed out that the rest of the activists are present now in the Turkish consulate in Benghazi and are in a "very bad psychological state". Miles of Smiles convoy (20) arrived in the Gaza Strip on Thursday evening through the Rafah border crossing, some of the members were due to arrive Friday. Sources from the Gaza government reception committee told PIC that 41 members of the convoy arrived, while 54 others were still awaiting Egyptian authorities clearance. The sources said that the convoy comprises of activists from various nationalities who brought with them two tons of medicines for the people of the Gaza Strip to alleviate the effects of the siege. The Palestinian government strongly denounced the kidnap of some activists in Libya participating in the aid convoy Marmara that was supposed to head to the Gaza Strip on a humanitarian mission. According to the Turkish relief group IHH, five British citizens from Pakistani origins, three men and two women, were kidnapped on Tuesday evening when the aid convoy Marmara they were participating in was intercepted by an anonymous group. IHH added that the kidnappers released four of the British activists on Wednesday morning but kept a woman in their custody. In this regard, spokesman for the Palestinian government in Gaza Taher Al-Nunu appealed to the Libyan leadership and its security agencies to do their best to rescue the release of kidnapped woman and provide protection for the rest of the activists. The aid convoy Marmara, composed of 25 activists from different nationalities, started from Britain on 25 February to deliver humanitarian aid of different medical supplies in addition to 11 ambulances to the besieged people of Gaza. During their trip, the activists visited France, Spain and Morocco where they stayed there for five days before they entered Algeria and then got stranded in mid-March on Tunisia's borders with Libya for several days before they were allowed in. After they reached the Libyan-Egyptian border area, the Egyptian authorities prevented them from accessing their territory claiming that they had no entry visas or prior approval from Egypt's foreign ministry, and this was categorically denied by the convoy activists. The Jordanian lifeline committee said it started its preparations to launch the aid convoy "Ansar" 4 to support the Palestinian people in the besieged Gaza Strip. Dean of agronomists' union Mahmoud Abu Ghanima told a news conference held in the building of trade unions in Amman that the aid convoy would move to Gaza on the fifth of next May. Abu Ghanima stated that Jerusalem and Gaza would always remain the mecca for all Jordanians and the world's free peoples. For his part, head of the lifeline committee Wael Sakka said the committee contributed to establishing a vocational training center in Gaza and is making efforts to improve the economic situation there through supporting small projects. In addition to the financial support for projects, the organizers of the convoy will bring with them different types of medical supplies for Gaza hospitals. "Mavi Marmara aid convoy" carrying medical aid to the Palestinians suffering from Israel's latest attack on Gaza, has reached Tunisia. 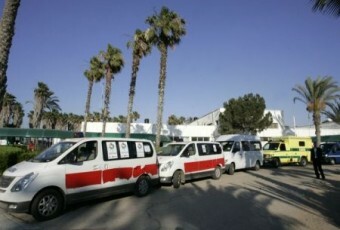 "Mavi Marmara convoy" made up of 11 vehicles carrying medical aid, departed from London and arrived in Tunisia following its journey through France, Spain, Morocco and Algeria. Akif Turan, Tunisian organizer of the "Mavi Marmara aid convoy" told Anadolu Agency that 25 activists from the Arabic world and Europe accompanied the convoy carrying medical aid and vehicles that could be used as ambulance and school bus. Turan stated that the veterans of the Mavi Marmara incident and the relatives of the martyrs contributed to the organization of the convoy. The convoy will pass through the Ras Jdir border gate between Tunisia and Libya and then arrive in Gaza via Egypt, Turan said. The "Mavi Marmara aid convoy" which has taken its name from the "Mavi Marmara ship" had departed from Britain ten days ago to break the Israeli embargo on Gaza. Mavi Marmara ship on its way to deliver aid materials was attacked by Israeli troops who killed 9 unarmed activists on May 2010. Ismail Haniyeh, head of the Palestinian government in Gaza, stressed, during a meeting with "Miles of Smiles 19" convoy, that the liberation of Palestine could be achieved only with the help of Arab and Islamic nation. Haniyeh has met on Monday with "Miles of Smiles 19" convoy which comprised about 150 activists from various Arab and Islamic countries, in his home in al-Shati camp west of Gaza City. 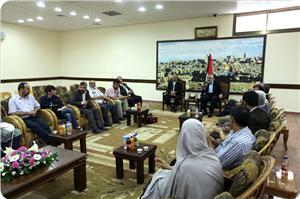 Haniyeh praised the delegates who visited the Gaza Strip and contributed significantly to break the siege on the Gaza Strip. He pointed out that Palestine was throughout history the unity of the nation, saying "Whenever the nation was fine, Palestine would be fine." Palestine is still under occupation but it works today to achieve victory and liberation through resistance and through the nation's renaissance, he said. Despite the Arab and Islamic countries' internal difficulties and problems, they all unite behind Palestine which is the first Qiblah in Islam, he added. Haniyeh stressed that this convoy, including the nation's scientists and members of the Palestinian people in the diaspora, is clear evidence to the failure of the Israeli strategy to undermine the people of Gaza through the siege. Haniyeh added that this victory was achieved by resistance and Egypt, which was a partner in the victory and not a mediator. 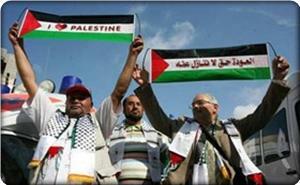 He pointed out that the occupation called for a cease-fire, a day after the beginning of the recent aggression on Gaza. He praised the Arab position, especially the Egyptian, Qatari, and Turkish attitudes to stop the aggression on Gaza. He stressed that history has changed after Shale Stones war, pointing out that "Palestine's victory is the nation's victory that brings us closer to Jerusalem and Al-Aqsa." Haniyeh greeted Palestinian refugees in Lebanon and all the Palestinian camps everywhere, insisting on the Palestinian adherence to the right of return. He thanked Dr. Essam Youssef, General Coordinator of the Miles of Smiles convoys , insisting that such convoys reinforce the steadfastness of the Palestinian people. 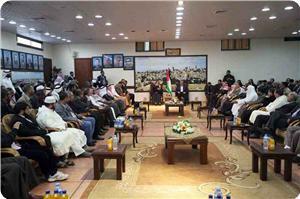 He concluded by saying that the Palestinian people will continue resisting as long as the nation's support continues. The European Miles of Smiles 19th aid convoy to the Gaza Strip arrived on Saturday night in the coastal enclave via the Rafah border terminal with Egypt. Palestinian sources said that 120 foreign solidarity activists managed to cross into Gaza at a late night hour on Saturday and 30 others would cross on Sunday. They said that the convoy members would remain in Gaza till next Thursday and would distribute assistance, open projects, and have meetings. The Miles of Smiles convoy has visited the Strip more than any other convoy since such convoys started arriving in Gaza in 2008 to break the Israeli siege on it. The fourth Russian aid convoy "Hope and Love" is expected to leave Moscow on Sunday on its way to the besieged and war-torn Gaza Strip. A number of Muslim activists from Russian charities will be participating in this convoy, which is composed of medical supplies for kidney and cancer patients. The expenses of the medical aid convoy were covered from donations collected from Russian Muslims under the auspices of Al-Tadamun charity, according to Eve Tatieva, deputy head of the charity. A Russian TV channel team will also come along with this aid convoy to make a documentary film about the suffering of the Gaza people. An Egyptian security source said Thursday that 25 trucks loaded with aid from Namibia arrived at the Egyptian border with the Gaza Strip. The trucks are carrying 150 tons of food and construction materials from the African nation, the source said. 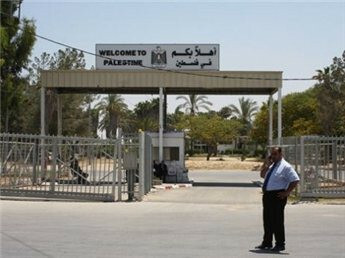 Authorities are coordinating to obtain the necessary permission for the aid to enter Gaza through the Rafah land crossing.